The rejection of Justice K.M. Joseph's candidature for elevation to the Supreme Court by the Centre has sent shockwaves throughout the legal community. Reports suggest that the collegium is likely to meet next Wednesday to deliberate on the Centre's decision. 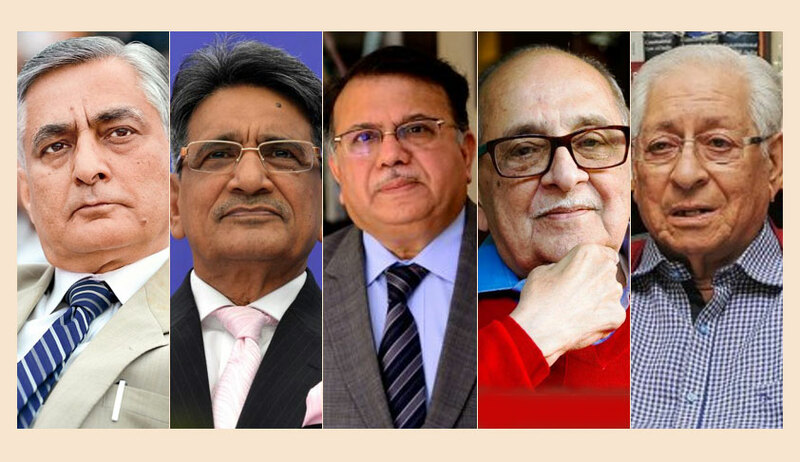 As per an Indian Express Report, at least three former Chief Justices have gone on record to express their concern over the Centre's move, demanding that CJI Misra urgently convene a collegium meeting to address the issue. While Former CJI T.S. Thakur told the newspaper that the decision to segregate Justice Joseph and Senior Advocate Indu Malhotra's candidatures was "unfortunate", former CJI R.M. Lodha asserted that the segregation "strikes at the very heart of the independence of the judiciary". He explained that by sitting over a file for weeks and then picking just one out of the two recommendations, Centre brings into play a "whole new succession". Justice Lodha also recalled the events in the summer of 2014, when the Law Ministry similarly segregated the recommendations and approved three out of four suggested elevations, while rejecting Senior Advocate Gopal Subramanium's candidature. He emphasized on how he wrote to the Law Minister expressing his disapproval with the Centre's stance and urged him to make sure that this does not happen again in the future. In fact, he seemingly referred to Justice Joseph's April, 2016 judgment when he had ruled against the Centre while examining the imposition of President's rule in Uttarakhand. Justice Lodha said it was "clear why his elevation is facing resistance". However, former Chief Justice of the Delhi High Court Justice A.P. Shah didn't shy away from expressly blaming it on this judgment. He was quoted as saying, "Clearly the reason (Justice Joseph’s file was rejected) is his judgment against the Centre in 2016. The points raised about his so-called seniority are not relevant and he is the most suitable person for the job." Justice Shah rejected the Centre's arguments on regional representation within the Apex Court as well, noting that Justice Kurian Joseph, the only other judge from Kerala will retire in a few months. Most of these former Chief Justices were unanimous in their opinion that the CJI should take up with the Centre the issue of the latter sitting on the collegium's recommendation for over three months. Mr. Nariman has joined the bandwagon of those condemning the Centre's move, asserting that the Collegium's decision for appointment of a certain judge is final, and that a contrary decision by the Centre would be considered "malafide". The statement was made in reference to the Supreme Court's judgment in the case of Supreme Court Advocates on Record Association v. Union of India or the Second Judges Case, when the CJI, along with two senior-most Judges, was given the power to appoint Judges, with the Centre being reduced to an approver. According to another Indian Express report, Mr. Nariman thinks that the Government is still "very upset" over the judgment passed by the Apex Court striking down the National Judicial Appointments Commission (NJAC), which sought to give more power to the Centre in appointment of Judges. He, however, opined that the Centre's reasons for rejecting Justice Joseph's candidature are "quite cogent", but added, "They may be right or wrong. Whether this meets with the approval of the collegium is quite another matter." Besides, he does not think that the segregation of names was invalid. He was quoted as saying, "They are entitled to do that…Judges don’t go in pairs. They are not husband and wife." Chiming in, former Attorney General Soli Sorabjee also opined that the collegium should look into the reasons accorded by the Centre for sitting on the proposal and subsequently rejectswearing-inhout going into the reasons for such rejection while speaking to National Herald, he said, "The government has not rejected it; they said they have some misgivings about it including seniority; none of which are valid. The government should not have sat on the proposal for so long, since January. That is wrong." He then asserted that it is on the collegium to accept the reasons or reject them. Commenting on the aspects that should be considered relevant by the collegium, he was quoted as saying, "The most important things to be considered are integrity and merit, all other considerations are immaterial. Seniority is an irrelevant factor. The basic point is that it is not for the government to decide. We do not want ‘sarkaari’ judges, we want judges who are independent and capable. The people who are the best to decide that is the Collegium." "In the case of Justice Joseph, these comments were made saying that he’s not senior and so on. Despite that, the collegium has said they consider him the most fit person, even though he may not be the senior-most person. Once the collegium has passed or made its comments known, there is no reason or justification for the government to still not appoint Justice Joseph. I think it’s a complete breach of constitutional convention and I don’t think it’s a proper action at all." On the question of segregation, Mr. Datar felt that the Centre could not have done so, saying, "In my opinion, it is not proper for the government to have segregated Justice Joseph’s name and approve the name of only Indu Malhotra. I think the proper course would’ve been to approve his name as well. But to answer your question they should not have segregated his name at all." More than 150 members of the Supreme Court Bar Association have come forth demanding a resolution against the Centre's decision. The proposed resolution condemns the "selective approach of the executive", and calls upon the Apex Court to take appropriate steps to restore the independence of the judiciary. Meanwhile, according to a Financial Express report, Senior Congress leader and former Union minister Mr. Kapil Sibal alleged bias by the Centre in judicial appointments. He was quoted as saying, "Central Government only wants judges whom they prefer. Law says appointment will be made on collegium's choice but this government ignores the collegium's recommendation." Former Union Minister Mr. P. Chidambaram however blamed Justice Joseph's 2016 ruling for the Centre's stance towards his elevation. Congress Spokesperson Randeep Surjewala also tweeted his support, saying that PM Modi's "‘revenge politics’ qua judiciary and ‘conspiratorial suffocation’ of Supreme Court" has been exposed through the incident. In his defence, Law Minister Ravi Shankar Prasad addressed the media rubbishing allegations that Justice Joseph's elevation was refused due to his 2016 judgment, and urging Congress to "stop lecturing us". Nevertheless, amidst the sharp reactions evoked by the incident, it is yet to be seen whether the collegium would reiterate the recommendation- a step which is being awaited by all those vouching for Justice Joseph, as the Government would ideally be bound by the decision and would have to accept the recommendation then. However, with the way events have unfolded in the past few months, idealities do not seem to be the norm.